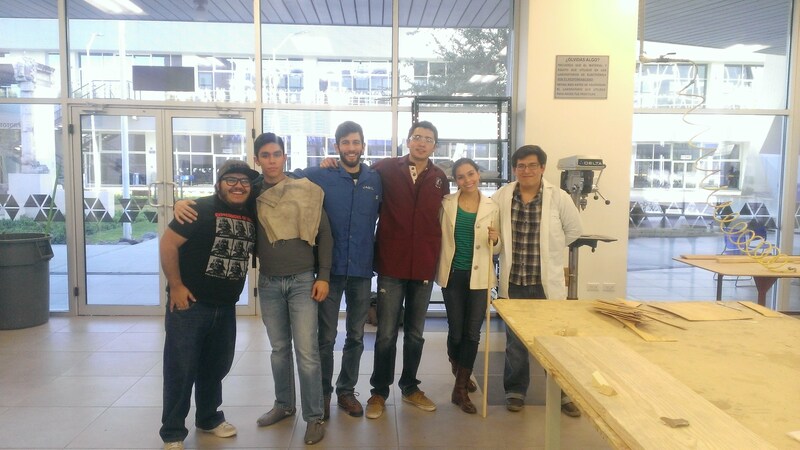 We are a team of students from the ITESM Campus Chihuahua, in Mexico and we are studying Mechatronics Engineering. We developed the GREEN Machine because we want to help spread the recycling culture in our country, specially in our city. So we got inspired by the first world cities that have Reverse Vending Machines and decided to apply it in Chihuahua. GREEN Machine is a machine that receives aluminium cans and PET bottles in exchange for compensation such as coupons. The purpose of this is to create a recycling culture, while at the same time we are recycling and helping create a cleaner world. Our project consists in the recycle of aluminium cans and PET bottles for our university ITESM Chihuahua Campus and we are looking forward to implement it in the whole city of Chihuahua in a near future. Every student and employee in the university has an ID card. The machine has a sensor that detects these specific cards and will identify the unique user. The machine starts once the sensor detects the presence of a card, then the screen shows the number of cans and bottles that the user has inserted. The machine is able to identify these two products by an inductive sensor, this detects the presence of metal which means that they have inserted an aluminium can; otherwise the machine will know it is a PET bottle. A red light is activated when the machine is not able to receive more products at the moment because it is working, otherwise a green light will be on. After that, there is be a servomotor that turns right or left depending on the material that was detected. It turns right if it is a can and left if it is a PET bottle, so we will have every material separated by the end of the process. That is when the second process begins. When the servomotor turns, the bottle or can is going to be dropped to a lane (there is a different lane for PET bottles and aluminium cans) where it will be smashed by a piston powered by a motor. The piston for the PET bottles is still not functional, just the can's lane is. After it is smashed it is passed to the storage part. There is a part that is not yet developed, the part after the storage. Then, the machine will pass points (depending on the amount of cans and bottles) to the ID card's account; those points will be exchanged for differents benefits inside of the university´s cafeteri, such as promos and disccounts.